This thread is dedicated to fellow visitors overseas from all over the world who was kind enough to spend time at AE. You are welcome to share your experiences in this thread. It was quite a privilege to vist the AE showroom in HK last month and meet up with PT and spend the afternoon with him. AE is one of the most authoritative sites in the world for those who refuse to follow the crowd and in doing so are rewarded with the most technically advanced, innovative and amazing products that are leagues ahead of anything else on this planet. This renders the other famous brands obsolete in technology, implementation and sound production. Experience these new products and one cannot go back . We have common products which we also distribute in Australia namely: Trinity, Robert Koda, Wadax, Neodio, Dalby Audio Design as well as our ZenSati cables and Technical Brain electronics. 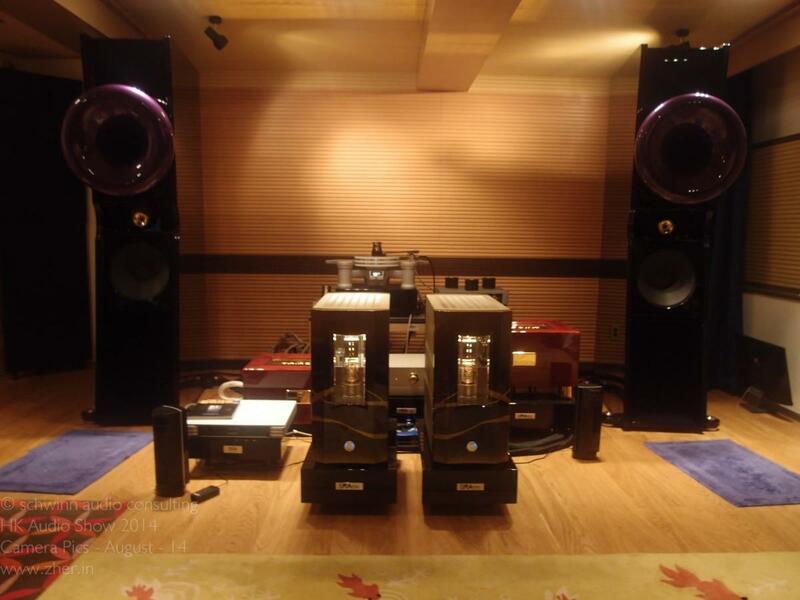 The setup at the time of my visit was: Wave Kinetics NVS turntable,Durand Telos arm, Ikeda Kai cartridge, Wadax phono stage, Robert Koda K-15 preamp, Lars 2 mono amplifiers and the Cessaro Brahms speakers all connected with Dalby and Goebel cabling and power leads. What was it like? Absolutely WONDERFUL. PT we will meet up again soon. Travelling from Europe to Hongkong is an interesting experience. The City is very nice located and has one of the nicest skylines in the world, but I tell you nothing new, I expect? What only some Hifi - fans know is the existence of an audio company which is dealing with the most exciting products from all over the world. I found them by accident. I bought a used amp from one of their customers. The owner of the unit I’ve bought promised me to arrange an appointment with his dealer, Chris from AE. Half a year later, I’m in the entrance of a small HK - townhouse. Nothing shows you what you will experience, if you enter AE’s listening room in the upper floor. Immediately after entering the room, you will realize that you are in a different world. The room is completely covered with especially built audio walls and without any window. The room is very, very quite and that is not an easy job in HK. In front of you is installed a very nice and big audio system. The system was composed of Cessaro Liszt speaker, Koda K15 pre, Lars 2 power amp, Wadax phono amp and an exotic turntable with Ikeda MC. For sure power conditioner, grounding unit and extrem cable. I called Chris an audio extremist and we were laughing about it! All was extreme audio equipment, but in this system everything fits perfectly together. And that is one of the secrets at AE. Chris and me listened to all kind of music: Pop, Jazz, Voices of women/men, Opera, Violin and Piano. What should I say: It was phenomenal! Very close to real music and enjoyable to listen to. In Europe, I listened to big systems too, some of them came close but none of them was playing at that level! At AE you’ll meet amazing people with amazing equipment and the result is unique. For me it was worth to travel to HK and to meet Chris. Today I’m back to Europe and I wonder what the most interesting points of HK were to me. Nobody has mentioned AudioExotics as a highlight. For me definitely THIS was The Highlight. I'd been following the AE forum for quite a while and there seems to be a lot of hype about AE. I communicated with Chris and I asked him about the possibility of visiting AE to which he graciously consented. So, there I was with 2 other friends. Is AE all hype? Absolutely not...in fact, AE is THE real deal! All that is written in their Forum is not only true but more than true. We were all spellbound by the realism of the system. Words just can't describe my experience there. Dynamics, speed, coherence, stunning tonality, absolute clarity...you name it...they are all there in spades and more! All the components of the system displayed their ultra qualities to the maximum. One particular component stood out prominently...the Tripoint Emperor. An amazing component and a must-have for all highend systems. When Chris disconnected it, it was just unlistenable in comparison. Without thus grounding system, we are just hearing noise! Truly, the AE experience was our most memorable and unforgettable one. Audioexotics HK with Tripoint Emperor. When my friend Tan , thf99 told me he managed to contact Chris of audioexotics for a demo at his showroom, I decided to join the bandwagon for the privilege of such audition to discover for my self what is the hype all about at audioexotics . It is mere hype or the real deal ? The showroom was located at an commercial building fronting the harbour at the end of the Sheung Wan MTR. Took awhile for us to locate the place , thanks to a gentleman . The showroom is pretty impressive with proper room treatment & power management with a pretty good size room bearing in mind the ultra pricey rental in Hk. I had gone to HK for the Hi Fi Show & upon prior appointment was 'welcomed' on a Saturday @ 1030 hours. I was on time & was greeted & welcomed. Settled in & some blues was playing. I requested for Classical to be played & my request was implemented. I am not going to get into the system specifics - cause all persons already know. I have attached a picture too. All components have been carefully chosen. Matched & made to work correctly. Harmoniously. Powerful tubes on a TAD Driver based system is a 'scary' proposition to put together. Very difficult to keep the noise floor down. The smallest of things gets amplified & then glares at you; That was not the case here. The audio system was playing very smooth. Effortless. Great sense of timing & tremendous speed. I walked away after a good hour & a half spent - 100 % satisfied. All audiophiles that live in HK & are visiting HK - should try and make the trip. Do call & go for a listen. It may well be worth your time. Thanks to AE for 'accommodating' me on a 'tight' schedule. It was morning on Saturday well spend. Paying a visit and listen to AE was on my to do list for some time now and i was able arrange a visit to AE during my recent trip to HK. Chris was kind and flexible enough to adjust the schedules to meet, thank you again. Upon entering the first thing to come to attention is the overbearing (visual) presence of the Cessaros. I brought a # of Lp’s with wide variety and we went through all of them in a very relaxed and pleasant atmosphere. Upon the first moments it became clear that this room and installation has very serious and time-consuming attention spend to it. The sound is fully removed from any visual clues (or expectations) one might have and the initial impression is of clarity and space. Space for the music to appear, blossom and vanish. Tone colours, dynamics, from the small scale single tone to the large, layering of sound and transients from appearance to decay are all up there. The Emperor is probably perceived as a kind of AE trademark or centrepiece. It sure adds tremendously to the AE sound (though the missing “noise” translates, at least for me, not as expected through removing a layer or a veal but more in gestalt and colour). But it is more the holistic approach taking care of all elements, also ground noise, which makes AE exceptional in my view. Compared to the vast majority of other dealer systems I have experienced this is way out there and removed (in a very positive sense). AE is a vinyl place, and a classical place. The creation of the sound of the piano in front of me was very much testament to this. 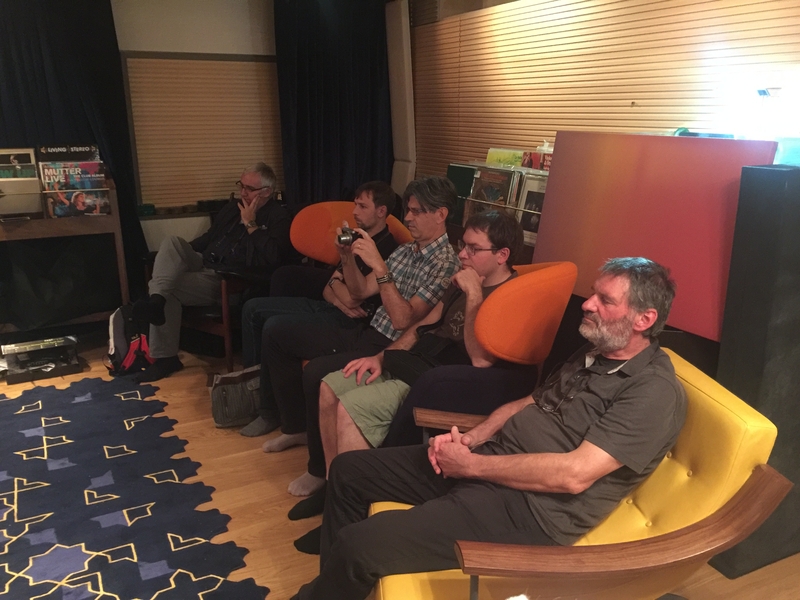 Given my rather broader musical taste we encountered one element where I was missing some energy or driving force in the music which I felt before with the piece. But then we need to keep n mind to be careful to understand which Rome one is travelling to. Looking back, I have the memory of a system which is build driven by the love for music, and yes a constant quest for what lies beyond. Thank you again for accommodating my visit. the Perfect Playback to my ears and senses has only happened on two occasions that stand out above the many systems I have owned and experienced bit in Homes/Aparts/Shows/etc. One such memorable occurred today courtesy of Chris and his magnificent Audio Exotics presentation . made to feel uncomfortable and a distraction—I know I have many times—I recall Knocking on Lyric NY years ago to find it locked and stared down by Mike the K—I never even got in that door—ha! Hold onto your hats Ladies and gentleman —the AE sonic presentation is One of the two finest systems I have ever heard. With relaxed state of mind—no pressure to buy or “what are you looking for/etc”— CL introduced the System to me —all vinyl thank goodness! and ner a worry to my ears -even the concert hall levels at times—Kudos to the perfect system synergy—simply astounding and second to none in my book. to avail themselves of the hospitality of Audio Exotics—it is a true Experience to savour. My heartiest Congrats to Chris—well done -world class! The wonderful Zanden Amps 40 W SETs—only ones in the world! The Wadax DIGITAL Phono —yes well I blinked and rolled eyes too!—but oh my you gotta experience this—it is so dynamic in spades! absolute blackness of Noisefloor is paramount—you need to hear this unit—it won me over big time! Cabling myriad of Goebel / Dalby/ PranaWire/etc /etc—just verging on Divorce material if left in view I feel—but hey!— so much a part of the sum total— just buy her that Birkin Bag she’s admiring!! And the Room minimal treatment but the sound so much a part of the Room— I could not fault—all was present and accounted for. 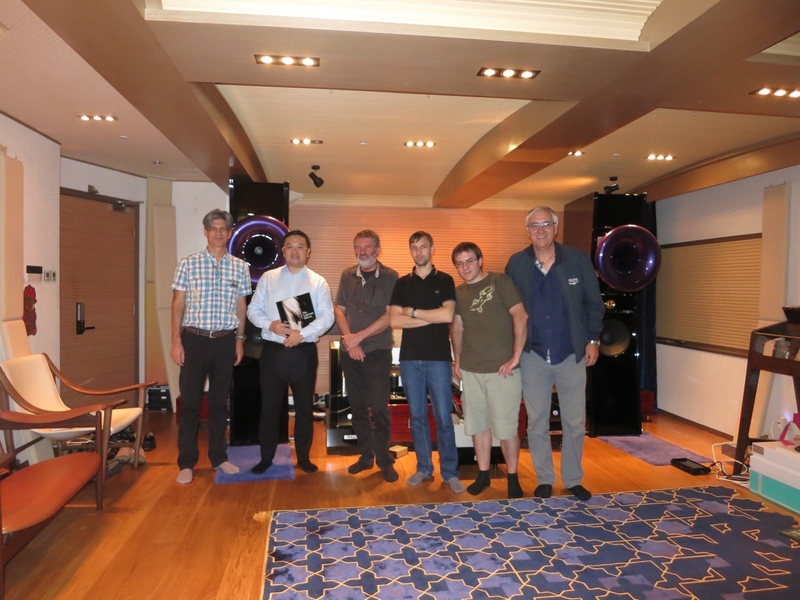 Franz Kuzma and a group of audiophiles from Slovenia came to AE for a visit. There are only three systems in the world that I'm so much interested in that even long distance flights are not a problem and that comes from a person who doesn't like to fly. AE system, especially with the Zanden trio (Choku, Chukoh and Jinpu), and a complete top Tripoint system (Emperor/Empress), is one of the three and was on my radar for a very long time. I was surprised how easy and quick it was to schedule a meeting with Chris and how friendly and hospitable he was during our visit. All our questions were answered and all our musical wishes were immediately fulfilled. I'll try to explain one aspect of reproduction I find especially important. Among many CDs and LP's we have listened, I would like to highlight a Classic Records reissue of The Royal Ballet (RCA Living Stereo, LDS 6065). This is one of the best sounding RCA Living Stereo records which is also quite demanding because it can very easily sound too aggressive, shouting, harsh and thin if system is not well balanced and refined enough. But that's not what I wanted to write about. What is important and for me a new aspect of high-end sound, is a »new« reproduction dimension. One aspect of soundstage we all know well is positioning of instruments on stage between speakers but these images are mostly more or less two dimensional. But the AE system is capable (among other things) of reproducing an instrument in all three dimensions. Let's take for example a tune from the above mentioned LP The Royal Ballet, the Arabian Dance from the Tchaikovsky Nutcracker suite. There is a short clarinet melody at the end of the tune that AE system reproduces in a one of a kind fashion. For starters, it is well positioned on the stage and nothing special about that but what is special is that it »works« in all three dimensions – there is not only a 2D image of a clarinet like on a TV or on the poster but a realistic, full bodied 3D image of an instrument with all of it's subtle and not so subtle dynamic shadings and timbral contrasts. This is one of the most profound and important discoveries of the sound the AE system is capable of and which would not be possible without the parallel clarity, phenomenal resolution that floored Franc, transparency, naturalness, and timbral correctness. To reproduce a correct characteristic sound signature of a musical instrument is one thing that many high-end systems are capable of but if you combine this quality with the capability of superior »virtual reality« spatiality, you get much nearer to the absolute sound... I should also mention that my friend Daniel can't forget the stellar reproduction of a piano and playing of Maria João Pires on Denon LP, Mozart Sonatas and the voice of Maria Callas on original Columbia LP, Great Sopranos Of Our Time. Unforgettable. This level of reproduction is of course a result of careful selection of each part of the system and if you remove just one, a lot of this realism disappears as Chris demonstrated when he disconnected one Tripoint Empress. In a second this huge and realistic soundstage collapsed into something we are used to hearing every day. I could write more about many other aspects of this system's capabilities (clarity, transparency, dynamic range...etc) but it seems that all these characteristics are connected with each other to give a result that made such a profound impression on all of us. I congratulate Chris for this important achievement also on behalf of my friends. I'm sure we will have many dinners together in the future talking about this wonderful experience. Thank you again for having us. Oh, and one more thing Chris: Yes, you should buy a Lipican stallion from Lipica stud farm in Slovenia. It's been 3 years since I last visited Chris' AE showroom where he demonstrated his ultra system.I was absolutely spellbound by that system then. Last week, I had the rare privilege of being invited to his home to listen to his mighty full Trinity system (digital only) with a pair of Cessaro horn speakers. 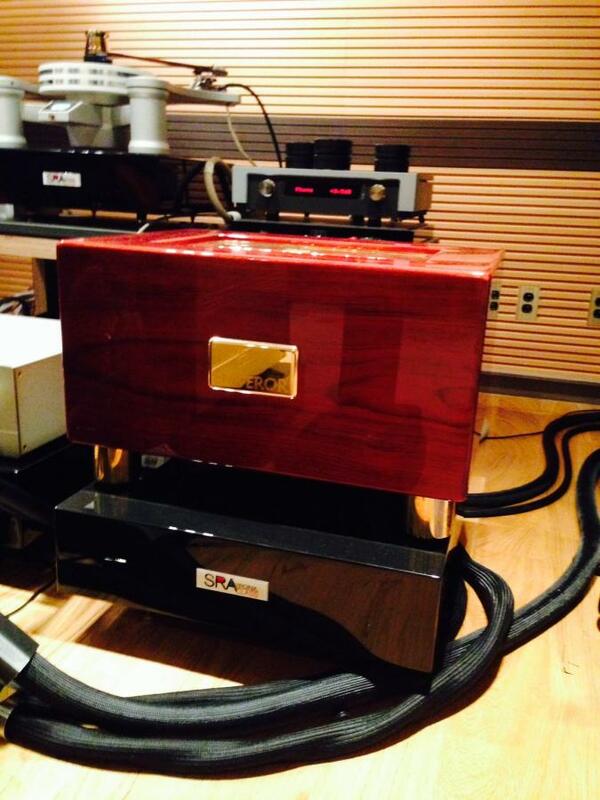 The star of this Trinity system is the Golden Reference Preamplifier. True to its name, it was golden indeed. There was a lot of debate about digital and analogue sound. Digital has been thrashed and ridiculed by die hard analogue lovers. However, this system had, to my ears, ended the that debate. I swear to God there was nary a hint of anything digital. In fact, in many ways the sound quality expressed by this system exceeded many analogue systems I'd listened to. This is truly dibital done right. Bravo, Dietmar! The next day, I visited the AE showroom in Central and there, I was treated to one of the very best (I don't like this word but still had to use it) analogue systems I have ever experienced. 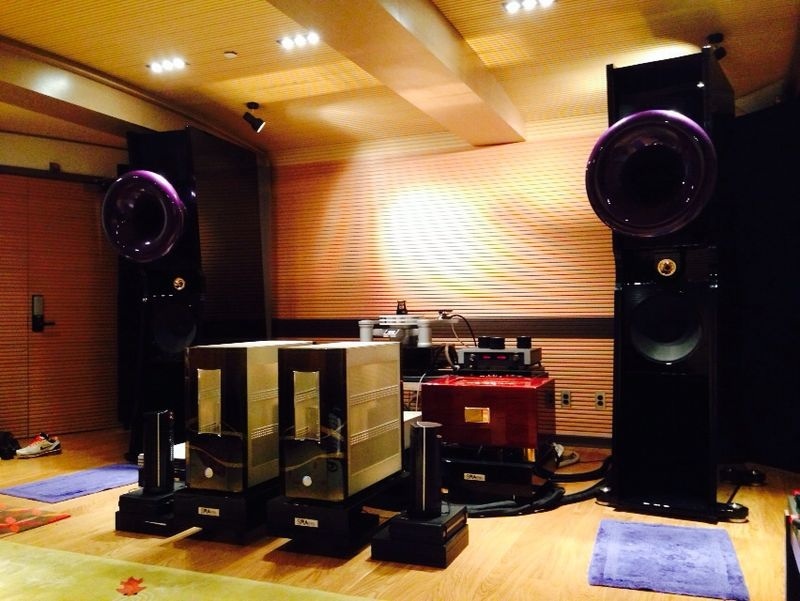 Again, the system is all Trinity driving a pair of Cessaro Chen Long speakers. Different genres of music from the 60s to the current ones had me fully immersed in them. The music and I became one! Music lovers and especially those who put sound quality above all else must visit this system. Again, bravo, Dietmar and the Cessaro designer. Finally, I'd like to express my gratitude to Chris for this rare experience. To those who had visited AE before from overseas and to those who are skeptical about it, please DO pay a visit to Divin Lab. Everything you guys had written still hold, but I don’t think you can find words to describe a Divin Lab experience. Chris is a busy man. Book a few days in advance. I knew many overseas miss the chance as they only called upon arriving Hong Kong. Just happened I visited Divin Lab last night and spent 2 hours there. It was my second visit to the lab. My first visit was at the time when the lab was just set up which was around 6 months ago. I am amazed by the performance level advanced in between my visits. As Chris said, the level in my first visit was just 20% of the current. I really appreciate the passion of Chris to drive the improvement and his pursuit of perfection. I agreed with Raymond that I can’t find words to describe the experinec. If I really need to say something, I would say I am no longer listen to hifi in Divin Lab. It is live performance of real people and I am just standing in the stage participating.